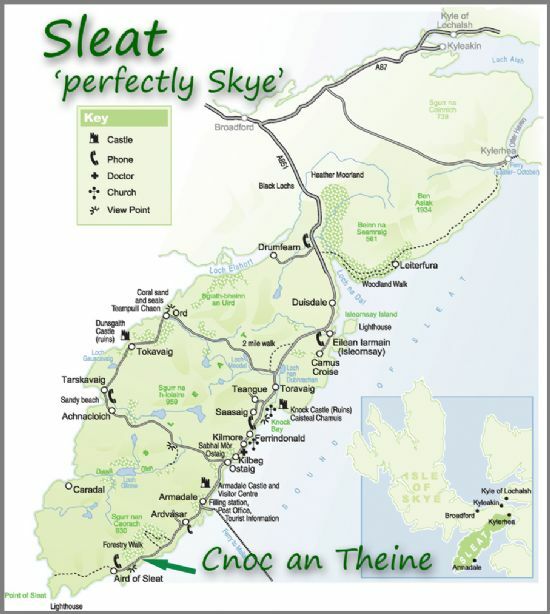 Cnoc An Theine is near the end of the main road through Sleat, some 3.5 miles past the Armadale to Mallaig Ferry Terminal. Click here for a Google Street View of the cottage, taken on a beautiful summer's day! For full details of how to reach us click our 'How to get here' page.